Mr. Cornwall's Creative Colours are 100% pure finely ground pigments created especially for the Artisan, Craftsman and Master. 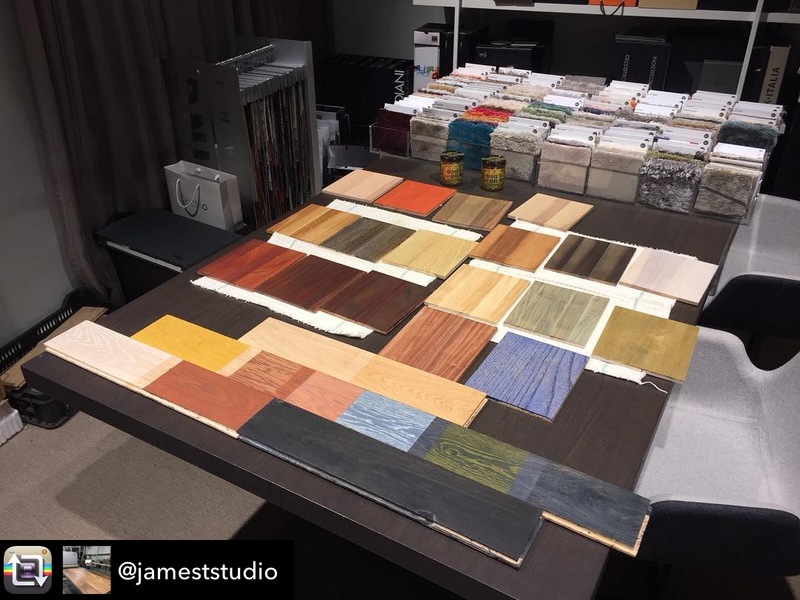 These pigments can be mixed with all of the Odie's finishes to create decorative finishes, man-made patinas, and color-matched protective finishes for furniture and floors. The colors are Black, Chocolate Lab Brown, Bristol Brown, Titanium White, Red, Yellow, Ultramarine Blue, Cobalt Blue, and Green. Blend the colors together to create custom colors. This was done by mixing 1 part Odie's Oil to 2 parts Safer Solvent and then adding in some of the pigment.This was applied to white oak, sanded to 220 grit. This is one coat, with the application process being the same as with all Odie's products. Results will vary. 1. For an oil based stain you can simply add the pigment into the Odie’s oil. This will be applied as per the basic Odie’s oil applications instructions page. 2. For a paint on solvent based stain you can mix 2-3 parts Odie’s Safer Solvent with 1 part Odie’s Oil, and then add in your pigment. This is better for very dark stains. For both methods you may need to apply multiple layers to achieve the desired color saturation. 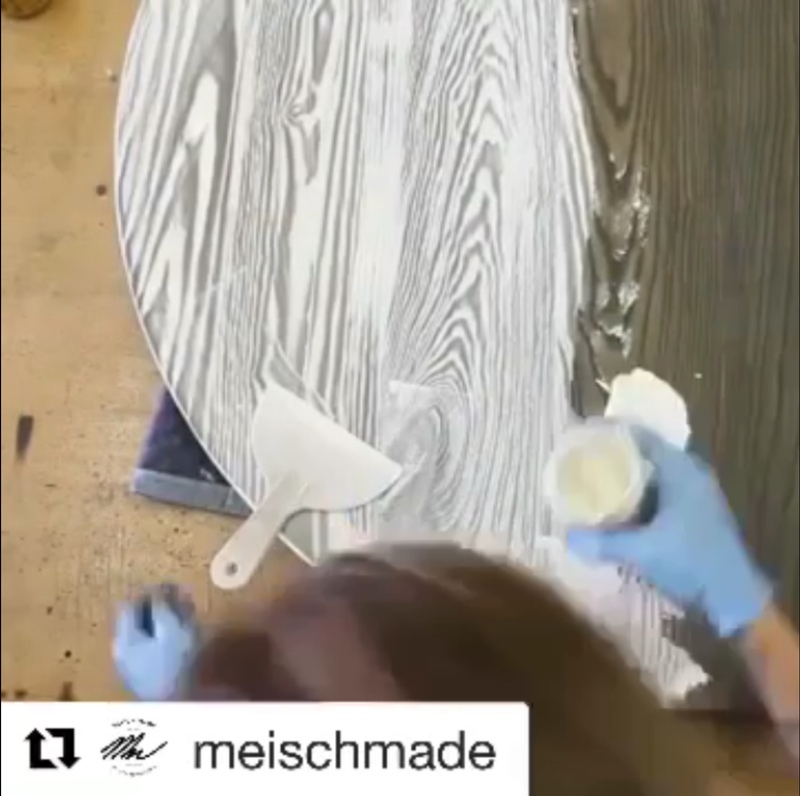 It is always important to test your stain before applying it to the entire piece. 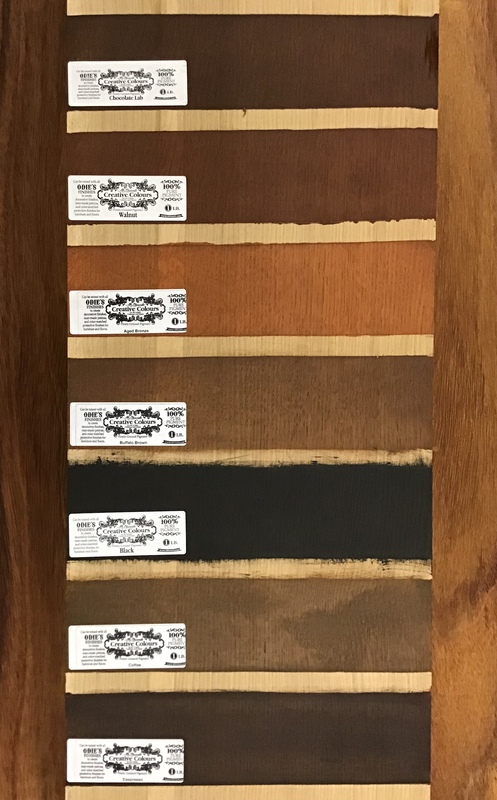 This is a custom made stain, so you will be in charge of what color you make. We work with Robert Chickey at Bespoke-Finish. He is a color specialist, who has wonderful examples of what you can do with these pigments. You can also find him on Instagram @bespokefinish. He offers color matching services for any of your special projects. You can also check out our Hungarian dealer TimbArt at TimbArt.hu. Both of these color specialists work exclusively with Odie’s products.